Oops, I false started. Good thing this isn’t the NCAA. 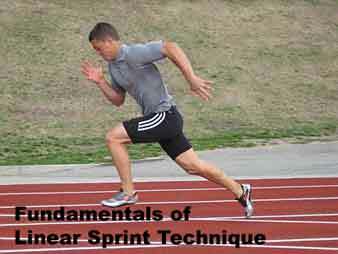 Immediately after I hit the publish button, I get an email from Derek offering a FREE DVD of this Fundamentals of Linear Sprint Technique – Training Clinic on DVD to Speedendurance.com users. Since I already have a copy from doing the review, I don’t need a second one, so I’ll give it away. I’ll make the rules simple. All you have to do to enter the draw is sign up for either the daily RSS by email (sign up box at top right of the page), or sign up for the Speedendurance.com Newsletter below. These two are not the same. The RSS by email is a full summary of all the daily postings, usually sent between 7am and 9am Pacific time. 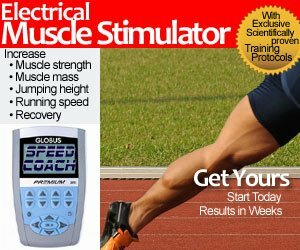 The Speedendurance.com newsletter will be a monthly email with a quick summary of articles since the last email. It will also contain discounts and coupons to various vendors, and it may contain controversial topics that I cannot post publicly on this Blog. The contest will end Sunday Jan 20, 2008 at 9pm Pacific and the winner will be drawn Monday morning Jan 21. If you are reading this article by email, do nothing as you are already entered!